Originally from Brentwood, Essex, Tony has dual qualifications: IFA (Diploma – Personal Finance Society) and Chartered Accountant – England & Wales. Following his BA in Accounting at Liverpool, his career began as a trainee with Touche Ross, Liverpool (audit), and following a stint in their forensic accounting dept. in Manchester, moved to KPMG Peat Marwick in the Cayman Islands. 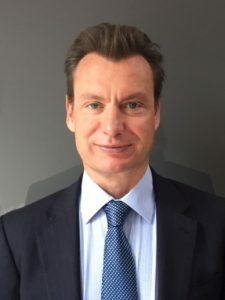 He later moved on into offshore corporate services whilst in the Cayman Islands with what is now Appleby attorneys at law, managing their in-house corporate services company, and after returning to the UK became regulated as an IFA (Independent Financial Adviser). Tony works mainly in pensions (in particular pensions transfer and consolidation) and investments, and is skilled in portfolio construction, retirement planning modelling, and potential IHT mitigation on client estates. His skill-set is wider than this though – please see Services. Tony’s clients are mainly private individuals, small companies and partnerships (and their principals), and trustees of family trusts. Andrew earned his BSc in Chemistry at Herriot Watt University, Scotland before earning his MSc in Environmental Science at Edinburgh University. He has worked as an Independent Financial adviser in both large and small IFA firms for over twenty years and has a wealth of knowledge on all aspects of financial planning. His main specialty is advising business owners and entrepreneurs how to manage their financial affairs. He is skilled in portfolio construction within pensions and investment products, including ethical and sustainable investments. 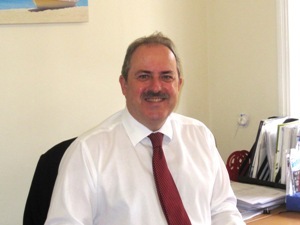 As financial advice can cover a broad spectrum, over time, he has developed a wealth of professional connections including chartered tax advisers and legal professionals whom he often works in tandem with. Andrew believes that everyone can benefit from financial advice and that the ultimate goal is to ensure this is delivered clearly and concisely at every level. private individuals – investments, pensions and retirement planning. Personal insurances (incl associated trusts). Estate planning (IHT mitigation). The latter may be done in liaison with your solicitor, accountant, or other adviser. company owners and key employees – pensions, investments and business protection incl. key man, shareholder protection, loan protection and associated business trusts. advising on and arranging the installation and administration of group pensions and other corporate benefits for small to medium sized companies. trustees – trust investments, and their duties thereon. For further details please visit our Services page. About Devine Financial Management Ltd. In addition to our offices at 42-44 Grosvenor Gardens SW1W 0EB, we have our Essex office at Southend-on-Sea, 1 High Street, SS1 1JE which is now the main administrative base. There is a wealth of information available on our blog.